Finding the Freedom – Alex is an off the beaten path expert and master of adventure. Rexy Edventures – Ed Rex blogs about his unexpected adventures around the world. he is on the road for 3 years. Backpacking Diplomacy – Andy is a part-time nomad. A site for travelers, adventurists, backpackers, language lovers, and more. Lost Boy Memoirs – Ryan, self proclaimed artist, travels the world and learn about cultures, people and countries through experience rather than through opinion. Stay Adventurous – Craig writes tales of adventure to inspire others to take and make adventure in their life. Nick’s Travel Bug – Adventure travel blogger & craft beer enthusiast encouraging others to live vicariously through themselves. Garfors – Author, visitor of all 198 countries and 7 continents, radio advocate, holder of world records. What’s Dave Doing – Dave from New Zealand is a wanderer for 15+ years, corporate refugee turned travel and tech writer. Travel Freak – Inspired stories for the curious traveler. Jeremy a long-term, solo traveler on his way around the globe. I Dreamed of This – Nathan Allen documents the world’s most fascinating destinations. Nomadic Matt – Everyone knows Nomadic Matt – a nomad, vagabond, and NYT best selling author of “How to Travel the World on $50 a Day”. Expert Vagabond – Matthew Karsten is an adventure travel addict, photographer and great storyteller. His curiosity of the world took him to many places around the globe. For the last 4 years he shares his entertaining stories, beautiful images, and useful travel tips with us. Chris Guillebeau – On his blog The Art Of Non-Conformity, Chris is sharing unconventional strategies and stories on life, work, and travel. His recipe for happiness is simple – Live the life you want, not the way other expect. True Nomads – Justin Carmack travels and dives for a living. Permanent nomad, he believes that travel should be a lifestyle, not a vacation. Nomadic Samuel – A blog by Samuel Jeffery, a travel blogger and YouTuber. For over 8 years he is trotting the world sharing quirky travel stories and photos along the way. He spent a lot of time as an English teacher in Asia. Wandering Earl – Long term traveler Derek Earl Baron shares his best secrets for travelling the world on a budget for years. Human interactions and first-hand education that travel provides is what he searches for. LandLopers – Matt travels the world in order to share how to experience the best the world has to offer. Tips for everyone from the novice to the pro traveler. The Travel Tart – An Australian travel blogger with a silly sense of humor. Anthony writes about the funny, weird & offbeat things about travelling. The Expeditioner – Travel site for the avid travelers founded by Matt Stabile. It features travel articles from some of the best travel writers in the world. Leave Your Daily Hell – Robert has started this blog to share travel related information, inspire, entertain and empower other to travel. Romancing the Planet – Karthik, from India, after completing his M.B.A, decided to get away from a routine and travel the world. Backpacks and Bunkbeds – Neil started his blog in 2005. You can find here all sorts of useful info on backpacking, road trips, hostels, weekend breaks, volunteering. Mallory on Travel – Iain is an ex-member of the Armed Forces turned amusing travel writer/photographer. A Travellers Journey – Nico from England just want to travel, nothing more or less. he volunteer and work abroad. Breakaway Backpacker – Jamie is on his second RTW trip with no return date. He has a lot of stories to share with you. Where the Hell Is Matt – Matt Harding is that famous guy who danced his way around the world. Those videos of dancing in front of landmarks went viral. Vagablogging – Blog by Rolf Potts, an author of An Uncommon Guide to the Art of Long-Term World Travel, is known for promoting the ethic of independent travel. The Travelling Fool – History buff, lover of cigars, freelance writer and traveler off the tourist path. Travel Wonders – Mark’s articles cover over 25 years of travel and 80 countries. Pause the Moment – Ryan is a location independent blogger and world traveler with a passion for adventure. Spartan Traveler – A personal travel blog, logbook of travel hacks, and and forum for thoughts on lifestyle design and working in the 21st century. Geeky Explorer – Bruno is a digital geek learning how to travel smart in the real world. Bemused Backpacker – Michael is an author of numerous gap year and travel guide books. Teaching, empowering and inspiring people to travel RTW independently. A Backpacker’s Tale – Stephen is a twenty-ish something backpacker and nomad, traveling around the world for the last 2 years. TravMonkey – Paul’s blog focuses on solo adventure travel and new technology. Banker in the Sun – Rashad decided to pursue his dreams of travelling and writing instead of 9-5 job. He shows how to achieve financial freedom and freedom of soul. Travels of Adam – Adam from Boston, MA is on his quest to try the coolest cultural things that are to do around the world. One Step 4Ward – Johnny Ward from Ireland is living his dreams traveling, studying, working, volunteering and backpacking around the globe. Time Travel Turtle – A blog by Michael Turtle. Great stories from around the world, with deep insight about culture and people. Vagabonding – A round-the-world travelogue documenting Mike’s solo, one-year quest through Asia and Africa. Going Awesome Places – An outdoor adventure and experiential travel blog that follows the journey of Will Tang around the world. This highly influential brand is one that focuses on inspiring, telling stories, detailed itineraries, and sending the wanderlust vibes through video. The Aussie Nomad – Chris can make travel easy for use, answering all your questions about visas,budgets, destinations and expat life. The Longest Way Home – A global quest in search for a place called home spiced with beautiful photographs. foXnoMad – Travel the world smarter with tips, tricks, and tech advice by Anil Polat, digital nomad traveling the world indefinitely. Triphackr – Learn how to stretch your dollar and travel for less with travel resources and inspiration from around the world. Tynan – Witty blog about adventure, working hard, traveling, and following good habits. Tynan is writing books about nomadic lifestyle and RV living. Go See Write – Travel blog detailing the mostly overland travels and RTW travels of Michael Hodson. Excellent travel photography, travel stories and travel video. Nomadic Notes – James Clark is a full time digital nomad, working round the world since 2003, running an online media business. The Broke Backpacker – Will, a wandering adventurer, travel writer and amateur photographer shows you real adventures with no cash, £10 per day, or less. Bren on the Road – Every Monday Brendan from NZ post new story, tip or inspiration, showing you how to live a life of full time travel. Yomadic – A long term travel and photography blog by Nate Robert from Australia. He loves to travel to lesser known destination. Intrepid Escape – Travel, adventure & video. Scott is a British travel writer asking you to ‘escape your routine’. Aussie on the Road – Chris on a quest to avoid ever having to lead an ordinary existence. Great part about travel in Australia. Dauntless Jaunter – Destination guides, tips and travel how-to’s from Christian from New York. Go Travel Your Way – Josh Cahill is a travel journalist and loves everything off the beaten track. He was awarded Australia’s Blogger of the year 2014. Escape Hunter – Epic travel stories, photos, reviews and a lot more by the incognito traveler. Virtual Wayfarer – Backpacking and solo travel blog with focus on sharing stories, musings, and advice. This World Rocks – Dan is traveling the world to see as many places and meet as many people as he can. The World or Bust – Jeremy is sharing his personal experiences abroad, providing helpful tips to inspire and educate future travelers. Runaway Guide – Leif ran away from home at16 and traveled the world with nothing but the clothes on his back. Hobo Traveler – Andy Lee Graham started traveling in March of 1998, visiting over 100 countries he can teach you how to travel for less than 1000 $ per month. Stop Having a Boring Life – Rob left everything behind and start traveling the world, in search of his favorite place on Earth. Loads of travel info. Art of Adventuring – Slow travel blog edited by Michael Tieso, showing simplicity of backpacking. The Road to Anywhere – A comprehensive travel blog with a strong focus on independent, cultural and adventure travel. The Hungry Partier – Drew has been eating & partying his way around 50 countries since 2012. Currently in India. Journey Wonders – Raphael, from Mexico, is a renowned photographer and storyteller. He blogs about his passion to culture and adventure travel. Backpacking Man – Jonny Duncan, adventurer, travel blogger, hiker, photographer. Traveling since 1997 on a budget. Dave’s Travel Corner – Long running travel blog created by Dave, with the focus on promoting experiential travel. Flights and Frustration – The rants, ramblings and ruminations of a frequent traveller flight expert from Ireland. See the World in My Eyes – Historical architecture and cultural adventure around the world through the eyes of a German architect. Travel Feeder – Cecil Lee is an avid traveler and advocate for budget traveling. Backpacker Banter – Surfing Aussie on the road since 2009, covering everything from how to plan a gap year to guest posts from our network of backpackers. Lee Abbamonte – Blog of travel expert Lee, the youngest American who have visited all the countries in the world. GloboTreks – Norbert, an Architect on a mission to visit all UN Countries by 2020. Traveler Legacy – Yassine writes about personal development and shares his travel stories. Jones Around the World – Share one man’s passion for world-wide adventure and to inspire others to conquer the globe. One Dusty Camel – Paul a.k.a. Dusty lives life to the fullest, pushing boundaries and keeping the dream alive. Small World Travels – Josh is taking the rest of his twenties off to travel around the globe and visit 100 countries by his 30th birthday. Man Versus World – A Kiwi on the road in search of a life of adventure and cheap beer. Vagabond Impulse – Travel, adventure and in search of a point to it all. The Life Less Travelled – Ara enjoys his journey and growing through the process. Backpacker’s Guide to Earth – adventures of a bearded Canadian blogger Logan. Drink Just Drink – A guy that want to run off and travel the world. Inspired by Krissi – A mindful traveller, perpetual wanderer, part time meditator and newbie blogger. Sand Dollar Adventures – After a fulfilling career Frank became a global adventure humor writer – and he has a business card that says so. Global Junkie – A personal adventure travel blog by Christian. Don't Stop Living – This owner of this travel blog is Jonny Blair who lives in Pland. He has an absolute passion for travel, people,places, history and culture. Across And Abroad – The founder of the travel blog is David Webb , who likes traveling , photography , writing and loves to tell stories. Flying The Nest – It is a travel blog run by Stephen & Jess , a young Australian couple with a passion for travelling, photography and film making. Wild Junket – This travel blog is run by Nellie , an adventure travel blogger , tour leader and a new mum on a ques to visit every country in the world. Renegade Travels – Josh is a travel blogger, he has been living and traveling all throughout southeast asia for the past decade. he has written for a number of different travel publications. We are from Latvia – Kaspars and Una are the founders of this travel blog. They both love traveling to new places , explore cultures and make friends. Wise Monkeys Abroad – They are couple bloggers , whose motto is “ The world is our playground” . Their love of travel began in 2005, when they both went on their first overseas trip together as 23 year olds. Just Chasing Rabbits – A travel blog made by Jenni and Mark , two kids at heart on a quest to explore the world and all the iconic, amazing and unusual sites in it. Unhooknow – Wayne and Pat Dunlap show people what is worth seeing and unique strategies how to travel for half the cost for all levels of travel from budget to luxury and 100's of other unique travel tips. Hole in the Donut – Barbara Weibel is the owner of this blog. For the past eight years she traveled perpetually, staying long-term in many countries in order to immerse in the local culture. D Travels Round – Curl up here to get lost in travel tales, see what life is really like as an expat, find inspiration to take that leap, explore Las Vegas and other destinations around the world, and more travel goodness. Hack Writers – It is an online portfolio of good writing whether fiction, travel or lifestyles. Hackwriters is a free internet magazine devoted to interesting writing, on any subject , which includes travel as well. places, return to familiar ones all while exploring history, culture and food. Nomadic Boys – This blog is run by Sebastien and Stefan , both have been travelling the world together since 2014 after leaving their lives in London. They both created their blog as a platform to record their romantic adventures, write about the different gay scenes and of course, their culinary discoveries. Glamour Granny Travels – The founder of this blog is Inka Piegsa-Quischotte, a free lance travel writer and photographer. She created this blog with a view to encourage female baby boomers who, in theory, love to travel but do not yet really dare to go out and actually DO it. W Travel Together – They’re Monica and Jon, both born and raised in Norway. They got bitten by the travel bug. Since then they have moved in together, got engaged and visited 46 different countries, some multiple times. Travel Notes – was founded by Manoj Radhakrishnan. He is more popularly known as R'Man to his friends in IIT Madras, India. He likes exploring new places along the travel journey. Justin Plus Lauren – Justin Plus Lauren is a travel blog by a Canadian couple, Justin and Lauren, focusing on adventure travel, responsible tourism, and vegan lifestyle. Burger Abroad – This travel blog was started by Amanda. She travels to eat food and love animals, and has been on the road full-time for 5+ years. Points and Travel – This travel blog was initiated by Dr. Cacinda Maloney.She is a luxury travel writer, blogger, brand ambassador & digital influencer. She has traveled every six weeks of her life for over 25+ years. Drive On The Left – They’re Drew and Julie, american expats living in Shenzhen, China. After 3 years of living the expat life in London, they decided to continue their adventures on the other side of the world. Napoli Unplugged – The blog was started by Bonnie Alberts and she’s a veteran traveler and a freelance writer and photographer with a passion for art, architecture, archaeology, and history. Rocky Travel – Michela is the founder of the Rocky Travel. She’s a travel addict and outdoor enthusiast who loves travelling solo! She has been travelling alone in Europe and around Australia for +30 years. Globalgaz – The blogger will share with you off-the-beaten path locations, unique experiences and must-see places. And occasionally, will share some insights and travel advice that has learned on the road. The Roaming Renegades – They are Nic and Paul ,were fed up with the 9-5 existence, 5 day working week and fortnight long holiday once per year. After that, they both started this travel , adventure and lifestlye blog. Gudie 2 Travel – Linda Aksomitis and David Aksomitis are owners,writers and photographers for the travel blog, guide2travel. Life Part 2 – Jonathan and Sarah, would one day meet: two independent travellers from different corners of the globe, they shared a bond that many travellers experience, a mutual love of adventure and a belief that the planet is a better place when people leave their comfort zones and discover new lands and cultures. 50 Shades of Age – Kathy commenced 50 Shades of Age in 2012 as a platform to encourage and inspire women of my age to travel and explore. 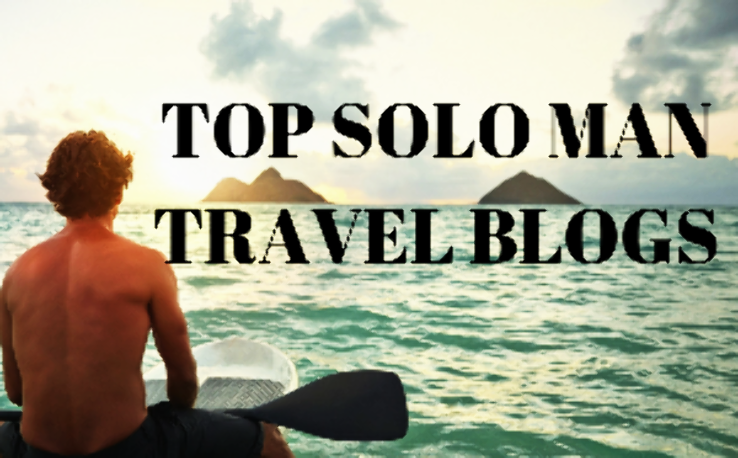 Solo Trips and Tips – This travel blog was started by Susan Moore and my love of solo travel inspired her to start Solo Trips and Tips blog and become a digital nomad . Mostly Amelie – She’s is a travel blogger named as Amelie , who like to travel and look for new experiences. A Wandering Mind – Anushankarn’s travel has been mostly focussed on India, since it is her deepest desire to see as much of her rich and ied heritage as possible - both, monumental, as well as natural.